What if we could use simulation designed to mimic low-resource setting to prepare residents for common physical and emotional obstacles encountered abroad? A new curriculum is giving students cases they may encounter in developing countries. This global health simulation curriculum, Simulation Use for Global Away Rotations (SUGAR), was co-developed by Assistant Professor Sabrina Butteris, MD, and the University of Minnesota’s Michael Pitt, MD. 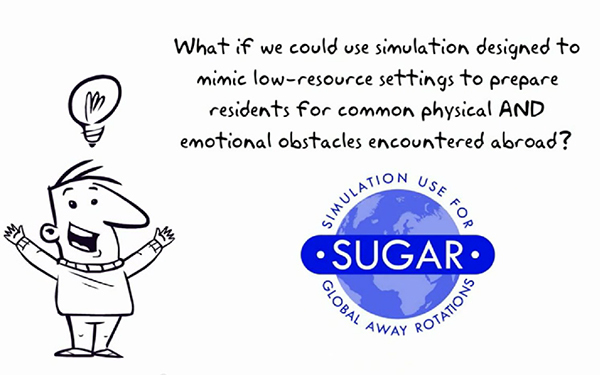 SUGAR consists of eight simulated causes that mimic patient care in resource-limited settings. To learn more about SUGAR, click here.